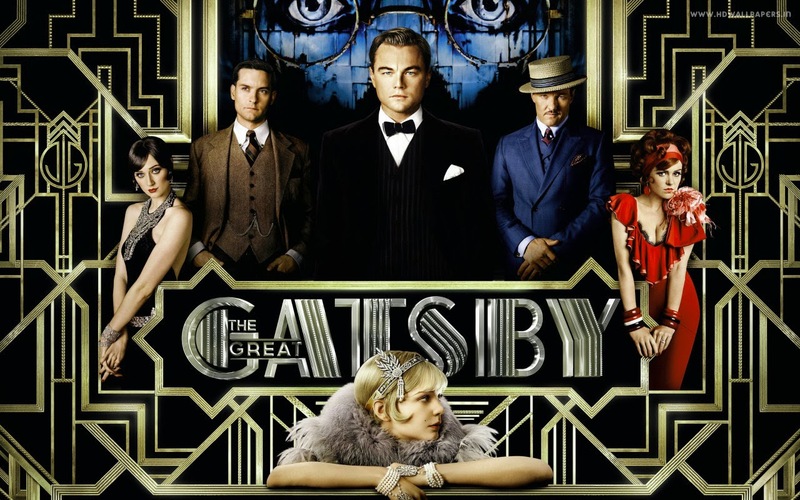 Last summer I re-read The Great Gatsby in anticipation of seeing the Baz Luhrmann film. I watch very few films, and rarely go to the theatre so it wasn't surprising that the summer came and went without me seeing it. But last weekend turned into The Weekend of Gatsby. As a belated anniversary outing, we had matinee tickets to see the Simon Levy adaptation of the novel performed on stage. On the way home from the theatre we decided... why not?... and we stopped to rent the dvd of the recently released film. Of course, all the differences between play and film got me curious about the original text and I went to bed with a copy of the novel. It was a wonderful immersion in 1920s New York! The set for the play was wonderful. I especially enjoyed the curved staircase on wheels, a second story that doubled as a float plane, an actual fountain in the middle of the stage which later served as a bathtub, and even later as a swimming pool. Music was provided by the jazz ensemble that remained on stage for the entire performance. The costumes were absolutely perfect and the casting very well done. I had no complaints! Well, actually, I did think that the amount of swearing in the script was unnecessary and not in keeping with the original - although Levy did a great job using Fitzgerald's own dialogue otherwise. This adaptation is the only one authorized to be performed in North America, and Simon Levy does a great job seamlessly interweaving the most important scenes and dialogue from the novel. The fun part was that I got to see it again when I accompanied Elizabeth to the school matinee performance later in the week! As for the Baz Luhrmann interpretation... what a wild ride that was! It is a riotous extravaganza of colour and sound! It is a big, bold splash of life. The sets are just as lavish as can be, and the props and costumes over-the-top - a festival of glitz and glam. Leonardo diCaprio is convincing as Jay Gatsby. He combines the controlled reticence and quiet authority of the character with old fashioned movie star appeal. Baz Luhrmann's interpretation of the character of Nick Carraway really irritated me. To my mind, Nick Carraway is far more refined and reserved than he was presented by Tobey Maguire.. There were moments I thought I was watching Pee Wee Herman. Honestly. And the device of having him recount the story to a therapist was counter to everything I think about the character. This was a passing, albeit influential, episode in Nick Carraway's life - certainly not enough of a disaster to send him spiraling into an alcoholic stupor. In terms of the cinematography, there were moments of brilliance. However, it was the excessive use of CGI that stands out. The heightened effects frequently brought me out of my willing state of disbelief and reminded me over and over that this was a movie that had spent a long time in post-processing. The long shots into the city showing the wasteland between Long Island and Manhattan were cartoonish and the car scenes reminded me a bit too much of Who Framed Roger Rabbit? The film was far too visually overstimulating for me. And maybe that's just me. I suspect this might have been the highlight for others. I came out of the theatre after his "Romeo and Juliet" like a deer in headlights and it took me days to recover. I loved it, but it blew my mind a little. My reading of the novel (I realize after seeing these adaptations) is much quieter. All the fabulous craziness of the 1920s is there - the jazz bands and the dancing girls and the drunken revelry - but the real action of the novel is internal and/or intimate. People whisper secrets, they have small conversations, they interact with each other on a less riotous scale. 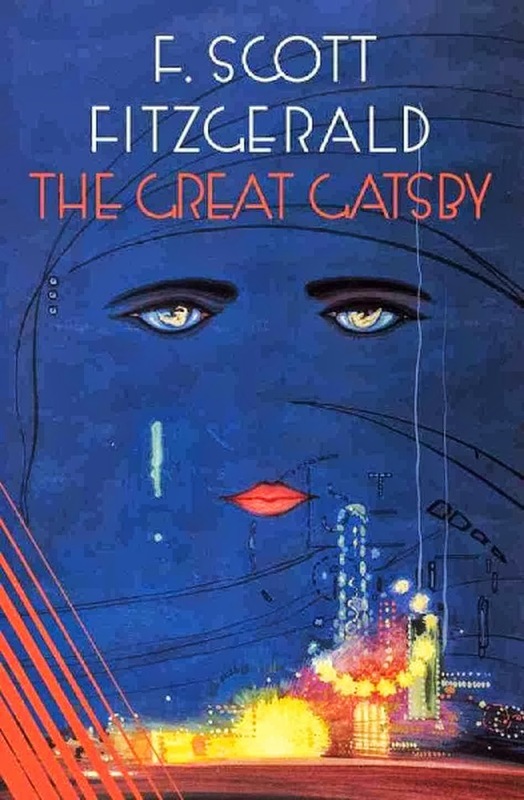 It also made me realise that this is probably because even the novel is an "adaptation" - a re-telling documented through the eyes of Nick Carraway. We are removed from the action; it is not happening in the present tense even in the novel. As an interpretation of the story, Baz Luhrmann's film did not add to my understanding of the characters or the action. 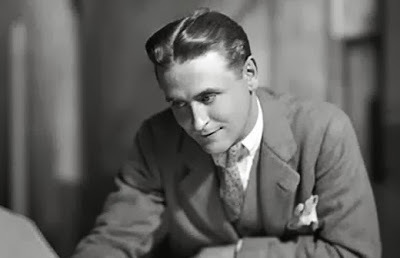 It was a show which captured all the surface glitz but offered no insight into the depth of motivations or personalities F. Scott Fitzgerald had created. It was a wonderful escapist piece of film, as fun and frothy and frivolous as the characters it portrayed. I haven't seen the film but I think I would like to see it just out of curiosity, to see how my imagination holds up against a louder, more colorful depiction. I always like to see the film version after I read the book but almost always I am disappointed. 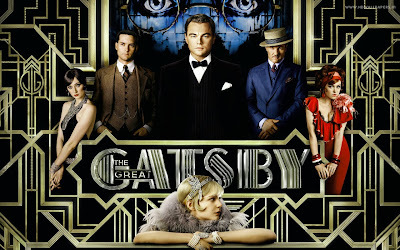 It is too bad about The Great Gatsby but I guess that is the movie industry for you...big stars and big glitz!